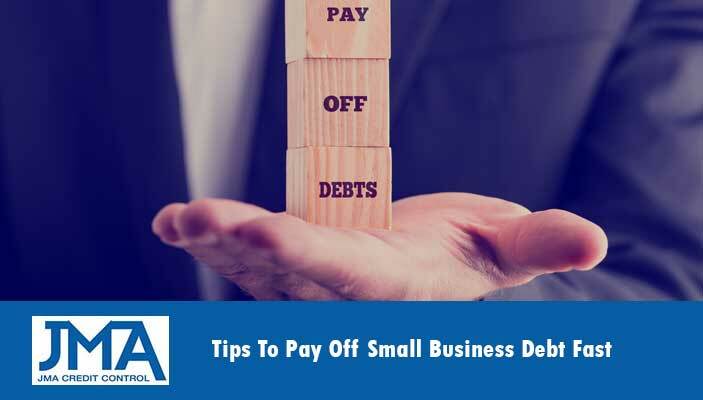 If you’re not careful small business debt can add up very quickly. As a business owner this can cause sleepless night, stress and eventually the failure of your business. But if this sounds familiar you’re not alone. A recent study by Gallup, a research based global performance management consulting company, found that 49% of small business owners where struggling to manage their debt. I’m sure that this probably comes as no surprise because managing small business debt can be one of the greatest challenges we as business owners face. Of course when debt gets too high and cannot be repaid many people have previously filed for bankruptcy. But this option comes with many downfalls. Firstly the court and legal fees alone can reach upwards of $7-8k. Plus you’re personal and business credit history will forever be tarnished making it hard to return your business to profit. So today I want to show you some of the best ways to manage and reduce your debt so you can rest easy, stop worrying about debts and focus on growing your business. This may sound very simple, yet feel very hard to achieve. But sitting down and creating actionable strategies to improve your cash flow can create real improvements in a short space of time. Most businesses could easily improve their current productivity rates. Utilizing new technology, undertaking training to improve skills and developing more efficient business system are all reliable, low cost ways to improve the productivity of your business. By investing in smart marketing strategies you can increase your sales and cash flow. When I say “SMART” I mean proven, revenue-generating strategies that can be measured and consistently improved to generate new customers at low-costs. Simply by talking to vendors and shopping around you can often save significantly on costs and improve your vendor terms. Many suppliers will offer payment terms of 15, 30, 45, sometimes 60 days after the delivery of good. This means you can receive the supplies and not have to pay for up to 60 days. This leaves more cash flow in your business and can sometimes mean you turnover your inventory before you even have to pay for it. The trick here is to not be lazy. Always look for ways to make your business more efficient and cash flow positive. Having stock or materials lying around your business or in a factory cost you money everyday. By monitoring your business demand you should be able to minimise the amount of excess inventory you hold yet still have enough to service demand in a timely manner. When searching for finance to fund your business operations it’s important to shop around. By doing your homework you will be able to find the loan with the best rates and terms for your needs. Also it’s important to mention that you should be certain you can easily afford to pay back the loan by calculating your Debt Coverage Ratio before applying for any loans. If you’re debt is starting to grow out of control the quickest and easiest way to start paying it down is to reduce business wastage. Wastage can be caused by poor stock and materials management, inefficient administration, unnecessary overheads, low-productivity and a lack of systems. By addressing these areas and identifying where you can cut cost and improve efficiency you can immediately free up cash to pay down your debts. Some business owners will try to bury their head in the sand and pretend that their debts don’t exist. That everything will work itself out if I just focus on the business. But as a small business owner this is not true. Managing debt is one of your core tasks and eventually the above approach will lead to financial ruin. Your best option is to tackle debt head on. Find the best solutions for your situation and implement them immediately. If you have multiple debts at different interest rates, consolidating them into one lower rate loan can instantly reduce your interest cost. Though you have to be sure that the ongoing interest savings will be greater than the initial cost of consolidating your loans. Credit cards often have interest rates of 16%+. This is an exorbitant amount of interest to be paying so you need to focus on paying down your credit card debt first. If you are a long time customer with your credit card provider you may even be able to negotiate better term. This is one of those cases where if you don’t ask you shall not receive. If they won’t give you a better rate you can look at transferring the balance to a new bank where they will often offer 12 months interest free on all balance transfers. By applying one or many of these tips you can significantly reduce your debt in a short space of time. As mentioned earlier the worst thing you do is pretend these debts don’t exist or that everything will work itself out. It won’t. You have to work it out. So I recommend you pick one of these strategies and implement it today.